Model wears Claudia tutu, white ballet socks and pink satin ballet shoes. 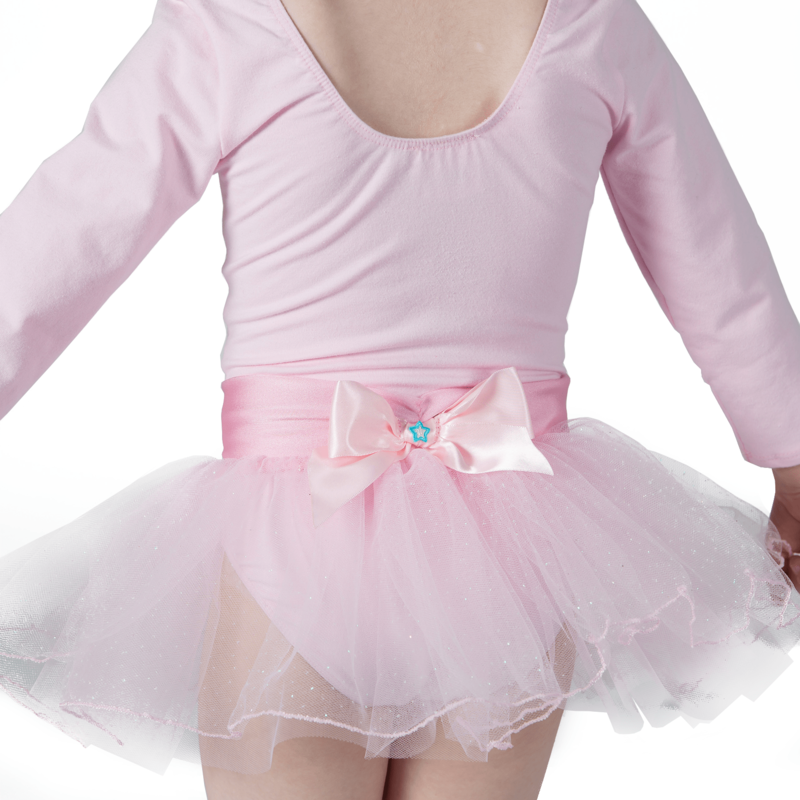 The babyballet Claudia, long sleeved, soft pink cotton tutu is beautifully sophisticated with a pretty satin waistband, finished with a bow on the reverse and a triple netted skirt. The top layer of the skirt sparkles just like the little princess wearing it! 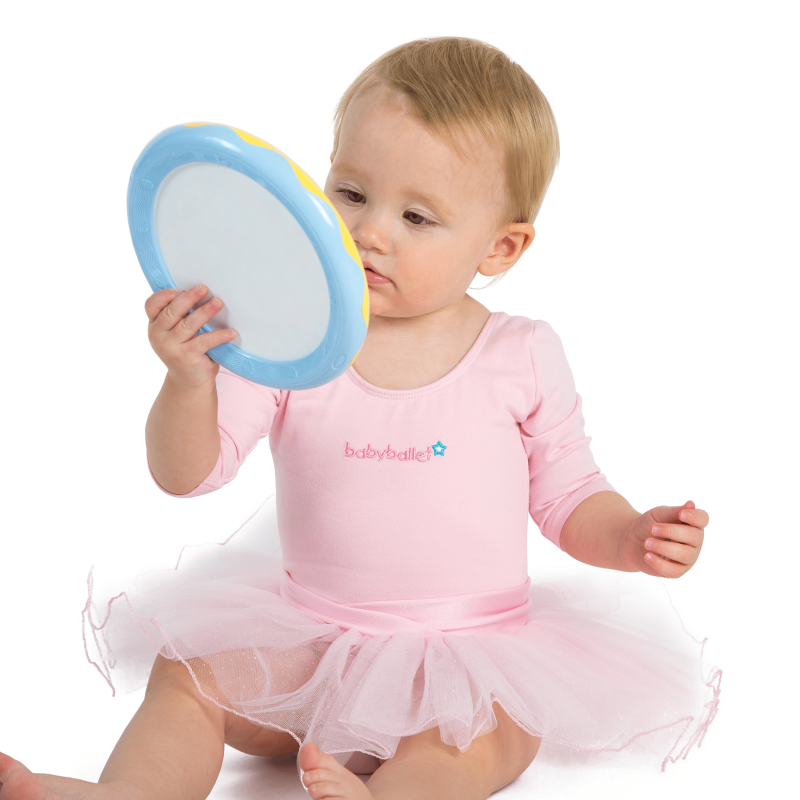 Sized from 6 months and with under poppers to 24 months, it is perfect for babies, toddlers and children attending ballet and dance classes. 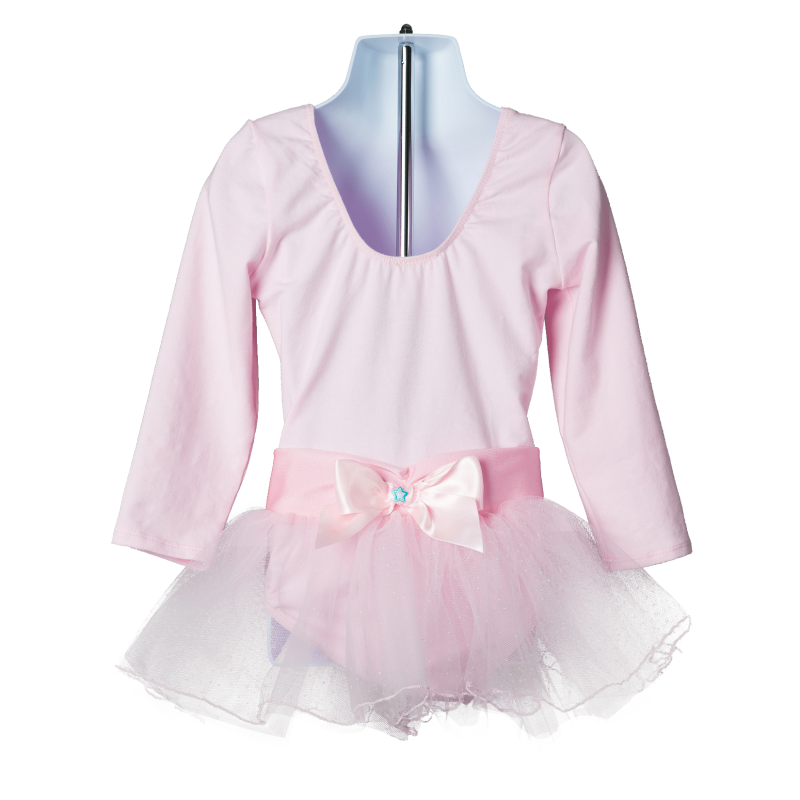 A truly stunning tutu for your little princess to learn to dance in, and keep those little arms warm too! see our claudia tutu in action!